Walk inside the Great Spiritual Pyramid of Egypt, no other tourists are allowed and participate in a Guided Meditation in the Great Pyramid while the area is closed to the public. This meditation will energise your Mind, Body & Soul. A once in a lifetime experience. During Egypt’s Old Kingdom (time line), the pharaohs established a stable central government in the fertile Nile Valley. Perhaps the greatest testaments to their power were the pyramids and other tombs built to shelter them in the afterlife. Arrival to Cairo airport met & assisted by our representatives through customs. Transfer to the hotel. Overnight in Cairo. Breakfast, start your full day to visit the Pyramids of Giza, Sphinx. After a peaceful Sunrise Meditation at the Great Pyramids,then visit the famous Khan El-Khalili Bazar, free time for enjoying the oriental atmosphere. Back to the hotel and overnight. Breakfast transfer to the domestic airport departure by the plane to Luxor arrival, meet & assisted by our local representatives, transfer to the hotel, we journey by convoy to the Temple of Hathor at Dendera. The avenue leading to the temple is between two Roman fountains and leads to an immense gate. Transfer to Luxor. Arrive Luxor, Overnight at Hotel. 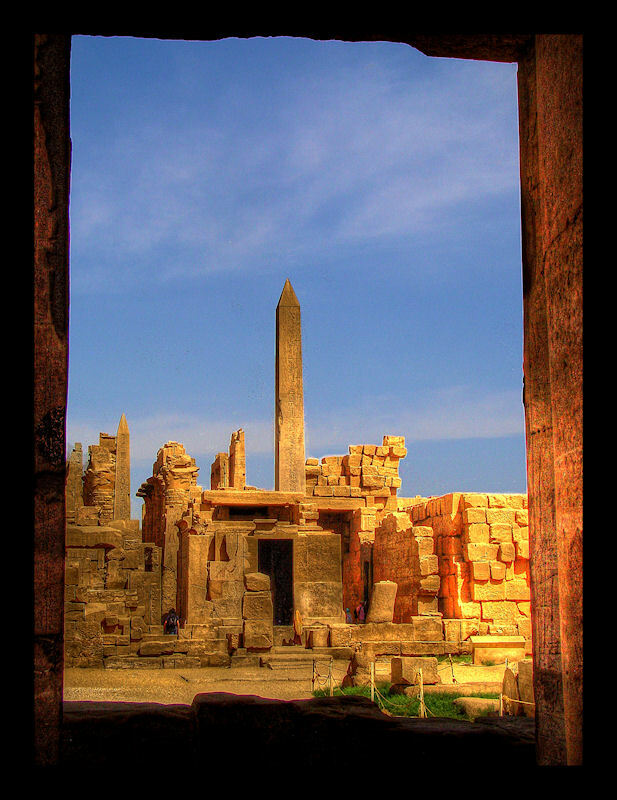 After breakfast start full day tour visit of the East Bank including: the Karnak Tempel. Back to Hotel for overnight. After breakfast start a full day tour by crossing The Nile to visit the West Bank including: Valley of the Kings, where dynasties of Pharaohs buried in great Tombs, then we Visit the huge Temple of Queen Hat-Shep-Sut Then proceed to visit the twin Colossi of Memnon the enormous seated statues facing The Nile. Return to your hotel for overnight. Breakfast. Transfer to Aswan by air conditioned bus. Arrival Aswan and start a full day tour to visit the High Dam, Unfinished Obelisk and Philae Temple. Overnight in Aswan. In the morning visit the Bazaar of Aswan, back to the hotel. (Optional ) In the afternoon, a felucca (Sailing Boat) RIDES ON THE Nile by sunset as you can spend two hours Meditation on felucca's board under the blue Sky. Back to the hotel for overnight. After Breakfast , check out from the Hotel then Transfer to Aswan Airport to back Cairo. Arrive Cairo then visit your trip to visit the Amazing Museum of Antiquities, Including the treasures of King Tut Ankh Amon Tomb and Citadel of Saladin and the Alabaster Mosque of Mohamed Ali. Then transfer to Hotel for overnight. Check out after breakfast. Transfer to Cairo international Airport for final departure. All Accommodation - Standard Hotels, with last night in 5 Star Hotel across the road from the Pyramids. All breakfasts, most Tipping, Most Entrance Fees, All Transport - 4WD, Air Conditioned Buses, Overnight Train and food on Train, Motor Boat Rides, All Transfers to & from Airport. 2 English Speaking Guides and all Facilitated Meditations. Insurance, Visas, Lunches, Evening Dinners, or any Optional Tours already mentioned.